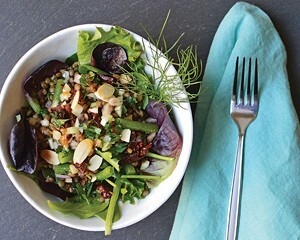 Summer is officially in full swing and most of us are looking for ways to prepare quick meals with little cooking involved. 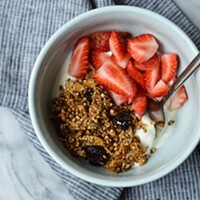 From using a blender to make a fresh smoothie or cold soup, to spiralizing your vegetables, to preparing your breakfast the night before, there are plenty of kitchen tips and recipes to make that won’t overheat your kitchen. 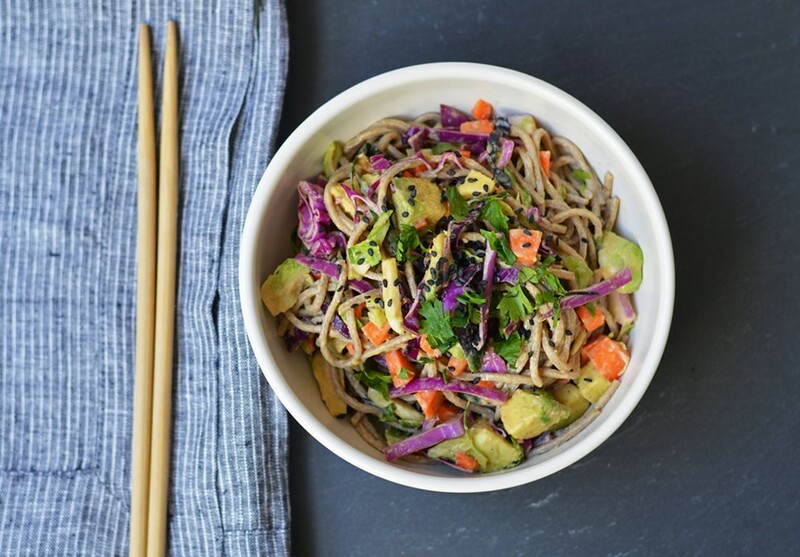 With a rich earthy dressing, seasonal fresh vegetables, and verdant cilantro, this soba noodle salad from Natural Gourmet Institute is well-rounded in the flavor department and requires very little cooking. 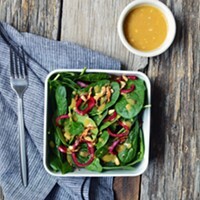 At under $5 per serving, you will have a refreshing Asian-inspired summer salad that makes for a delicious side or a filling vegan entrée. 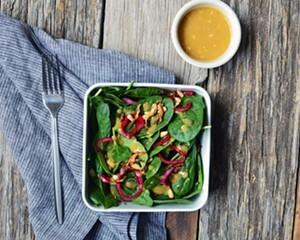 In a small bowl, whisk together the tahini, water, soy sauce, rice vinegar, sesame oil, salt and pepper. Cook soba noodles according to the package directions, or until al dente, then immediately plunge them into a bowl of ice water to chill. Drain and set aside. Prepare vegetables. You may also choose to blanch the Brussel sprouts, if desired. Sprinkle cubed avocados with lemon juice to keep them from turning brown. Pour half of the dressing over the Brussel sprouts, carrots, avocado, and cabbage and toss gently. Add the noodles to the greens, pour remaining dressing. Toss everything together and top with sesame seeds and cilantro. This salad will keep up to one day in the fridge, but it is best eaten immediately as the noodles will absorb the dressing and get soft. Feel free to add or substitute in your favorite seasonal vegetables, or pair it with tofu, grilled fish, shrimp or protein of your own choice.